If you like to keep your mid-section covered up by the pool, check out this precious ruffled one-piece. To die! There’s always this ruffled one-shoulder bikini for those of you who love the look, but don’t like a one-piece! Are you a girl who prefers black year round? You’re going to need this piece… and this one too. This airy linen midi dress is perfectly dainty with it’s subtle embroidery, ruffled hem and belted waist. Love this silhouette! Want all eyes on you by the beach this summer? This lemon yellow off-the-shoulder dress is a knockout, and would look amazing with bronzed skin! Love a good crop + skirt combo? Try this flirty smocked top + matching skirt! After a couple of very minimalist, neutral spring/summer seasons, bold brights like these are back and bigger than ever! 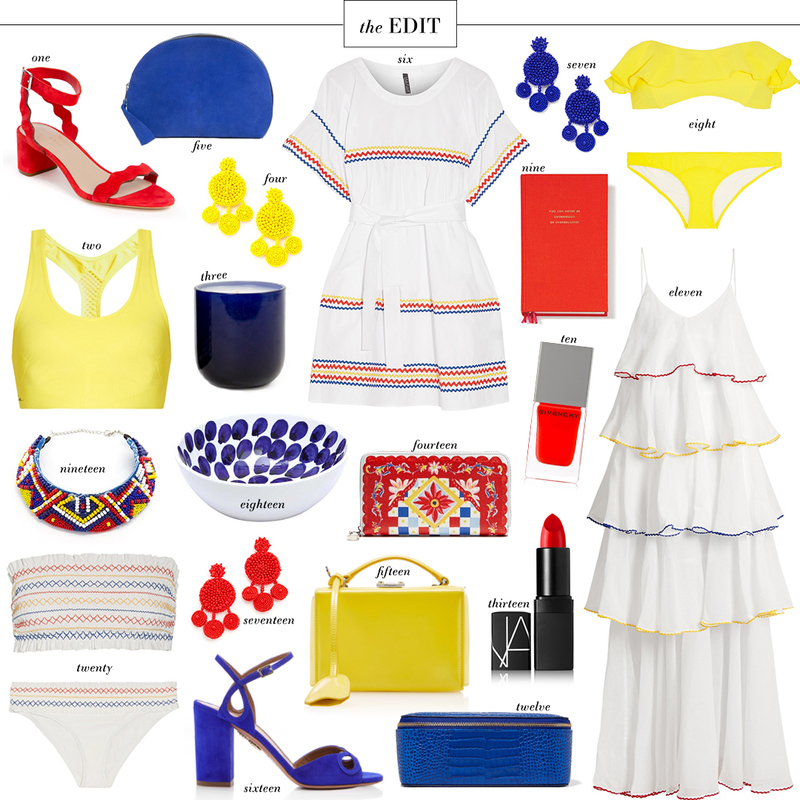 Shocking shades of lemon yellow, royal blue, poppy red and more are adorning everything from glam gowns to dressed down accessories like these fun beaded earrings. You can check out more of the brights I’m craving right now in THE SHOP! There’s so much more to love. in LOVE with the dresses and bikinis… and really all of this, haha. the dresses look so cute and so COMFY! Fun colors, reminds me of a fiesta! This roundup makes me want to go to Mexico – stat!! Love, love, love that middle dress!